The Chipper Clipper: $1.50 off 1 Planters Coupon! This Planters Coupon is available again! 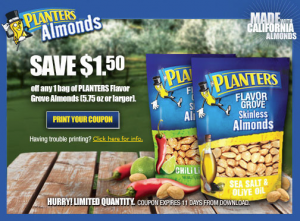 Go to the Mr. Peanut Facebook page to print a coupon for $1.50/1 bag of Planters Flavor Grove Almonds 5.75oz or larger. 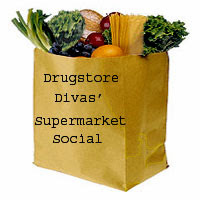 This week CVS has these on sale for $2.50 per bag. You pay only $1 after coupon. Walmart also has these on sale for $2.50 each. Enjoy!